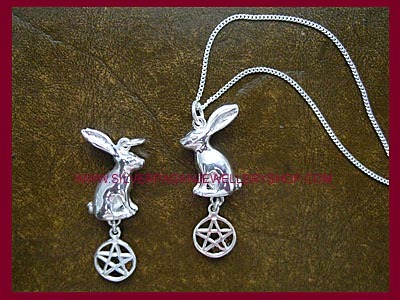 The Hare is made from solid sterling silver and is not hollow and sits approx 23mm in height. 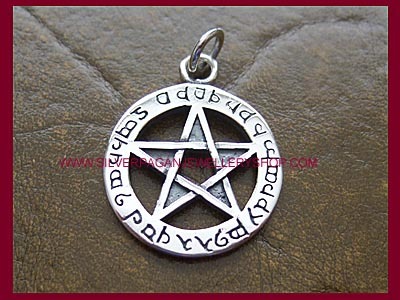 The 10mm silver pentagram is attached by way of a small link so that is moves independently from the Hare. The pendant is nice and weighty and has a total drop of approx 36mm. 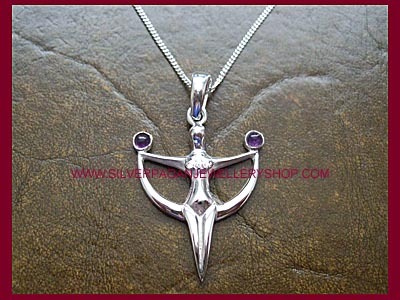 A superb pagan necklace! Can be purchased with or without a chain. 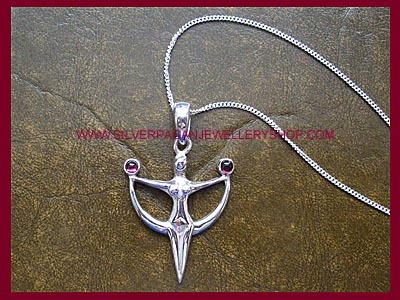 Please choose pendant only or your choice of 4 lengths of sterling silver chain (same price for all!) from the dropdown menu below.